Today, we stop and remember the men and women who had the courage to serve our country and gave their lives for it. This is a special day for a lot of people in America, and is a day where people calm down with all the politics and just come, because if it wasn’t for them, our country would likely have been very different. Just as a quick history for today, it was implemented as a national holiday after the civil war, due to the massive amount lives lost during that bloody conflict. If you ever get the chance, go by one of the military memorials in Washington D.C, whether it’s the World War 2 memorial or the Vietnam memorial. I remember went I went to these two, during my trip to Washington 3 years ago. It was very surreal, just thinking about how these brave men gave up their, just so that we can continue to have the freedom that America was founded on. I know this phrase is used a lot, but freedom is most definitely not free. If anyone who is reading this has had someone they love die in combat, I want to say thank you for your service as well. I know y’all have sacrificed so much, but we all are really thankful for it. Today, I encourage everyone to spend time with their families and reflect on this day. 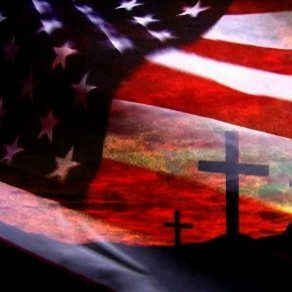 Again, thank you to those who died for this country and thank you God for giving them the courage to do so. This is great, son! Yes, we must always remember those who paid the ultimate sacrifice for this nation.